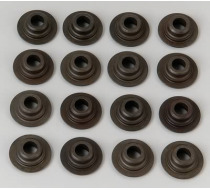 These steel valve spring retainers are made from hardened 4140 chromemoly steel for great performance characteristics and reliability. 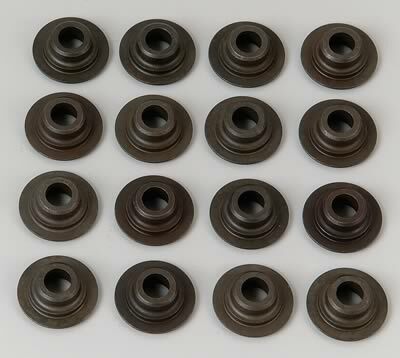 On top of that, they're black-oxide coated for corrosion protection and good looks. They install at standard height and are for single or double springs with 7 degree valve stem locks.